back in our auburn hills days, we lived dangerously close to a cinnabon. it was in the mall across the street, and it was a friday tradition to pick up cinnabon before a movie to bring them home for saturday morning breakfast. ohhhhh, it was divine. 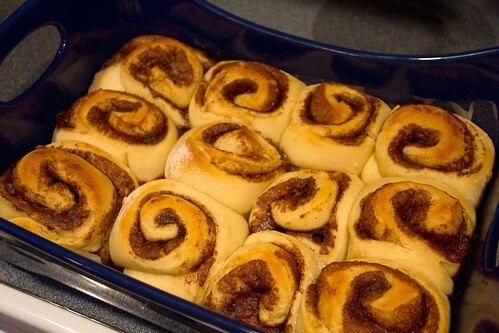 cinnabon cinnamon rolls are magical in every way. gooey in the middle, perfect icing and they require no work! these are a close second. they do require work, but i modified the original recipe to allow the rolls to rise in the fridge overnight. that way, when you wake up in the morning, you just pop them in the oven and you’re good to go! you may notice that i didn’t include a frosted roll pic, which is because even though i did like the original frosting recipe, it was kind of lemony for my taste. there is a frosting recipe on pinterest that i’ve had my eye on for a while, so i’m planning on trying it next time. i’ll keep you updated! dissolve yeast in warm milk, in the bowl of your mixer, fitted with a dough hook. add sugar, margarine, salt, eggs and flour. mix well. knead the dough into a large bowl, on a surface lightly dusted with flour. keep your hands dusted, too! put in a bowl, cover and let rise for at least 1 hour, or until the dough doubles in size. roll out dough on a lightly floured surface. the dough should measure 21″ x 16″, and be about 1/4″ thick. 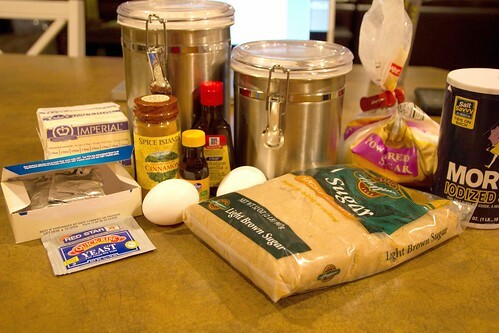 make filling by combining brown sugar and cinnamon in a bowl. spread margarine over the surface of the dough, using an offset spatula. 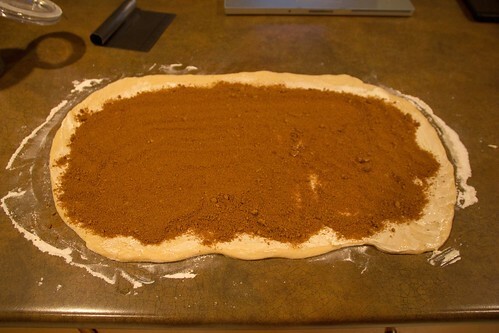 sprinkle cinnamon sugar mixture over surface, leaving about 1″ around the edge. gently roll into a fairly tight roll, keeping the filling inside. grease a 9″x13″ baking dish, line it with parchment paper, and then grease the paper, as well. place rolls in the dish and cover. 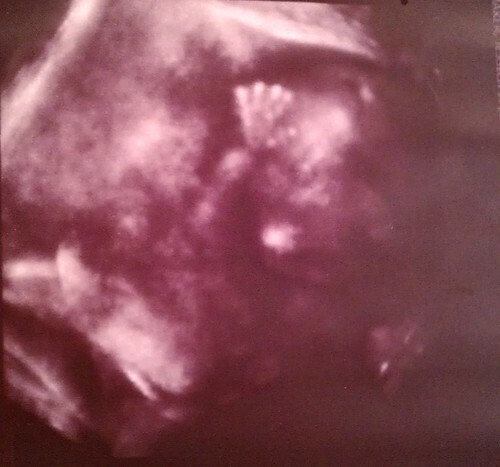 bake at 400° for about 10 minutes, or until light golden brown. 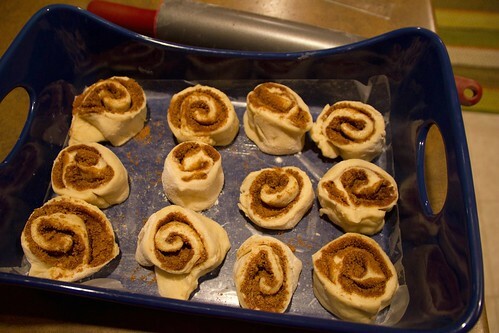 place remaining frosted cinnamon rolls in an airtight container until you’re ready to indulge again.